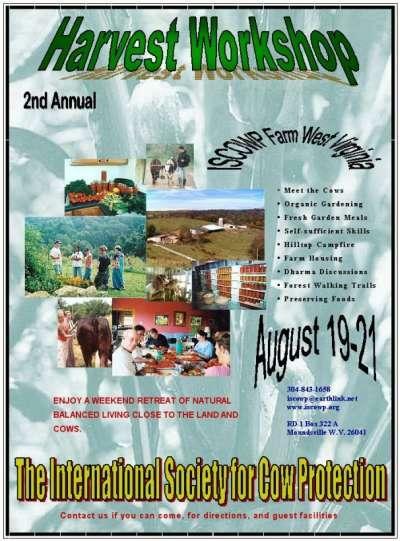 Welcome to the 2nd annual Harvest Workshop to be held August 19-21 at the ISCOWP farm near New Vrndavana in West Virginia. Come and have some fun and learn self-sufficient skills too! More detailed schedule upon request.